I worked like a woman possessed on this quilt and finished it over the weekend. And what can I say. This was one of the most enjoyable piecing and quilting sessions I have had in a long time and I am just totally enamoured with the finished quilt. It started of with just a photo of a spectacular wall decoration at a restaurant and ended with a quilt that resides now on my sofa and that keeps making me break out in a wild grin whenever I my eyes fall on it. 'Sketch' is such a riot of colour and perfect for this less than ideal summer. It measures around the 60" inch mark square. I debated long about what to do for the back and finally settled on 'Uopia' from Free Spirit that I have had in my stash a long time waiting for something special. 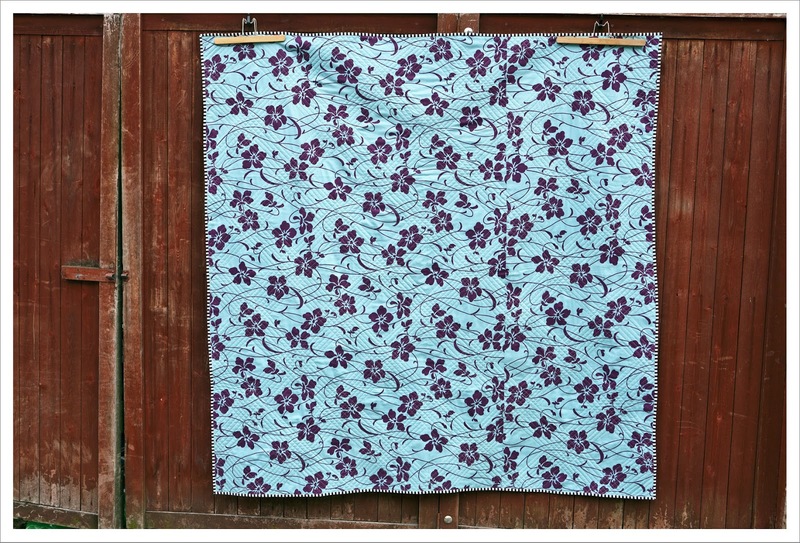 The colour fits perfectly with the turquoise and deep purple in the flowers as both are mirrored somewhere on the front. The quilting is rather predictably crosshatch along the coloured strips but I quilted into the white squares as I wanted generous quilting and also just because I fancied it. 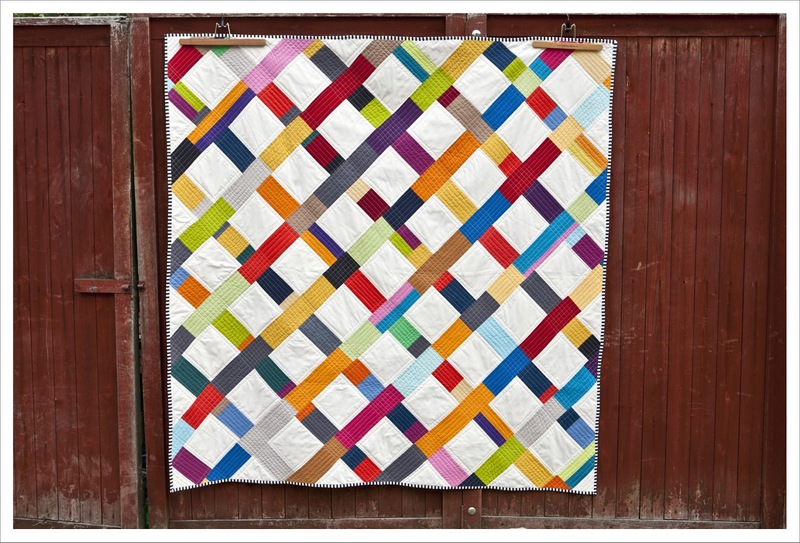 The white squares are 'Kona Snow' and the coloured strips are totally randomly chosen from my solids scrap bin. The obvious choice for the binding would have been a scrappy one but I didn't much fancied the obvious so went for a stripy number in black and white which I think is the icing of the cake so to say. And I am already on to the next quilt. Clearly the enforced break did do much good for the creative juices. I hope your creative juices are flowing too. Brilliant! 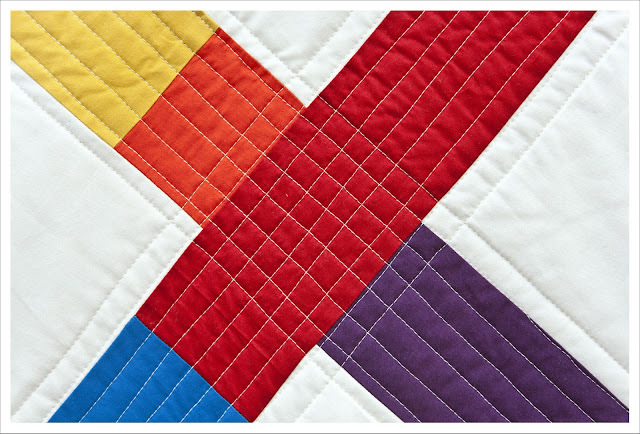 Love the colour play and the quilting adds to that linear feel! Love the binding choice! Think I need a trellis just like this in my garden! The colours are amazing. I love the contrast between the colour and the white. The binding is fabulous too! Gorgeous- love the bright colours and your quilting design! Awesome quilt! Very clever using all colored scraps to make the strips and the woven effect! 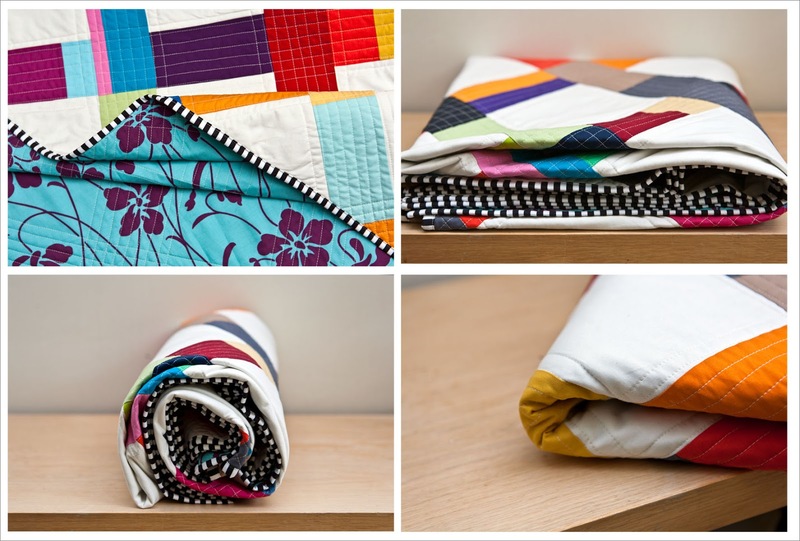 Quilting is perfect! I can see why it makes you smile, it is wonderful! simply gorgeous. might there be a tutorial coming? This is lovely and I just adore your quilting!! Yes, a tutorial would be great! It's wonderful, no wonder you're smiling! Excellent jog! What a fun quilt! I love it! It's such a great colour mix. 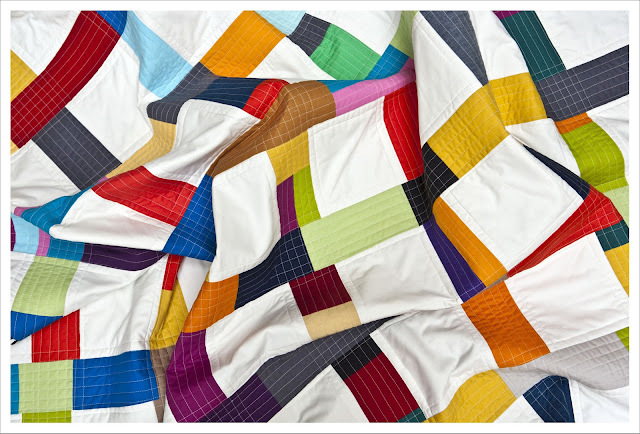 Another really nice quilt! 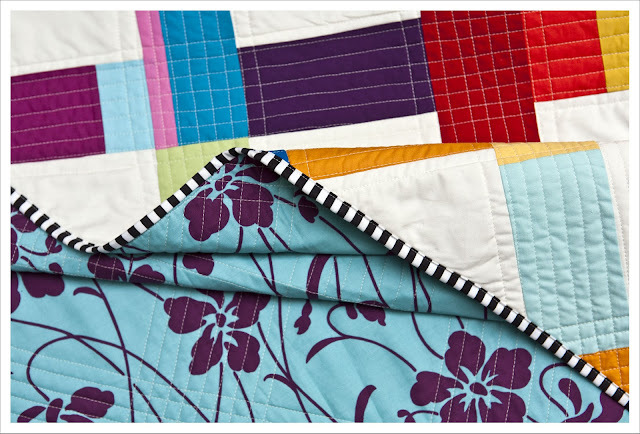 Thank you for sharing what your inspiration was and how you turned that into an actual quilt.